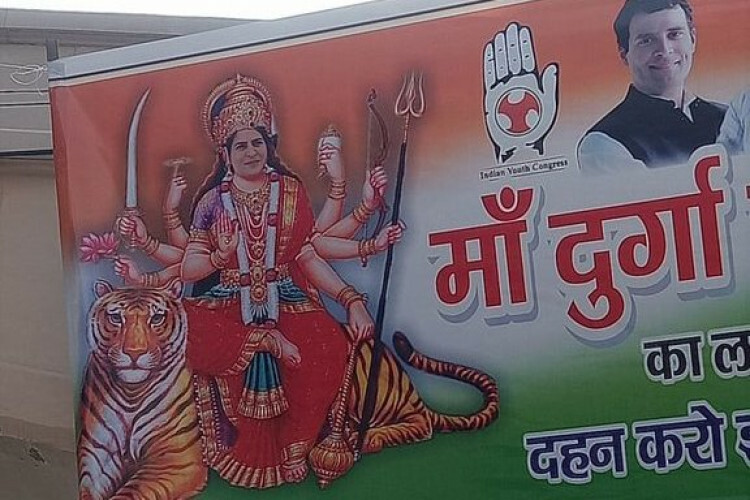 Congress president Rahul Gandhi's sister, Priyanka Gandhi is currently in Lucknow but before she visited the state capital the roads were filled with posters showing Eastern UP Congress general secretary, Priyanka as Goddess Durga sitting on a tiger. The poster also displayed a slogan, “Sister Priyanka Gandhi is the form of Mother Durga”. Before her arrival, the party office was also decorated with flowers and flags.